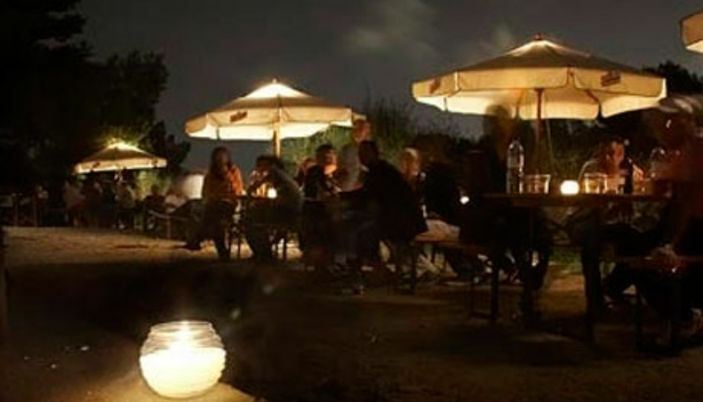 When the sun illuminates Barcelona and the temperature of the water begins to be pleasant, open the "xiringuitos" in Catalan or “chiringuitos” in Spanish, that is, for us, the bars at the beach. 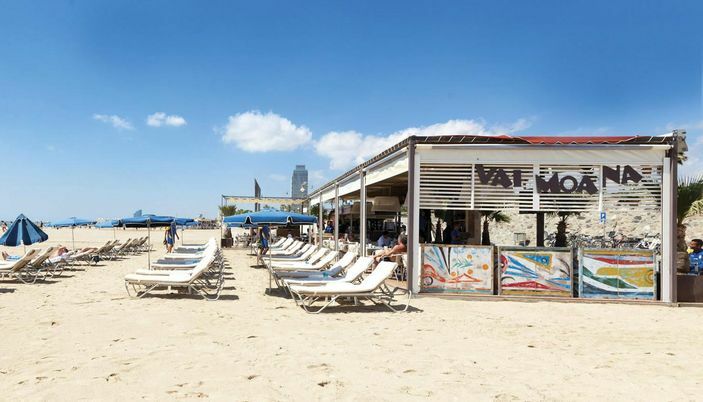 From late May or early June, when these begin to open for the summer season, working people make the midday break running to the beach to enjoy some precious moments at the beach bars, while others will end the day with a drink listening to good music. Just below the Escribà restaurant, La Guingueta de l’Escribà is its very relax beach chiringuito.. If we go to Escribà for its famous rice, we appreciate La Guingueta to spend a day at the beach in family or an evening with friends. The place is open all day, you can book a mattress and a parasol or just go there for a cocktail from an endless list. The kitchen is also open all day. Perfect for forgetting your watch and taste tapas to share with friends or have Mediterranean-inspired dishes. This will require a walk to the Bogatell beach..
Easy to find, under the W Hotel, Pez Vela (the sailing ship) is a marvellous and smart chiringuito of Grupo Tragaluz (Bestial, Agua, Tragaluz...). 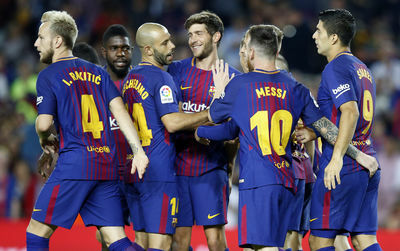 One comes there for a superb sight on the sea and the Barceloneta, to enjoy Barcelona beach but more especially to have sea food lunch or diner on a sunny and relax terrace. The menu: seafood tapas , salads, paellas (15/20€) or grilled fish. Very simple foods but extremely good and perfectly matching for a "farniente" day at the beach. When you foamed all the trendy places in the Rambla of Poblenou. When you need to take sunbath, bath and enjoy farniente. Direction the beach of Bogatell for a long moment of relaxation at the Xiringuito Vai Moana. 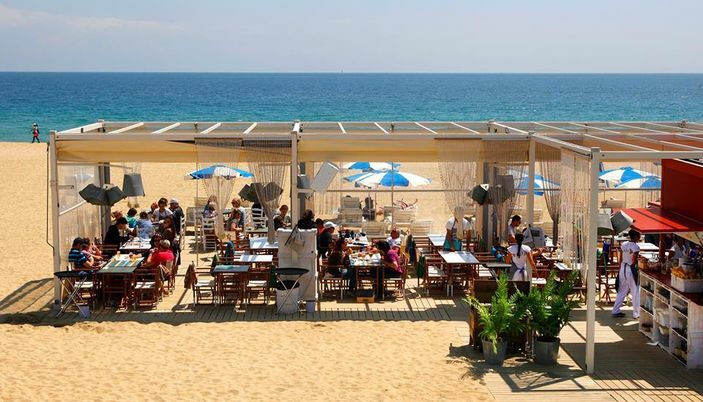 This chiringuito is for long time on our list of the coolest places of Barcelona. One goes there from the morning to the evening, to enjoy the beach as well as having a cocktail at the end of the day. In the beginning the chiringuitos were beach bars where one came to benefit from the mattresses, to have a drink, a sandwich or an ice. Vai Moana (blue sea in Polynesian) followed the trend to become a true place of restoration and night entertainment. Between sunbaths, head to the bar for true fruit juices, smoothies and a long list of cocktails. Our preference goes towards most refreshing ones: frozen daiquiri, frozen margarita and Piña colada. 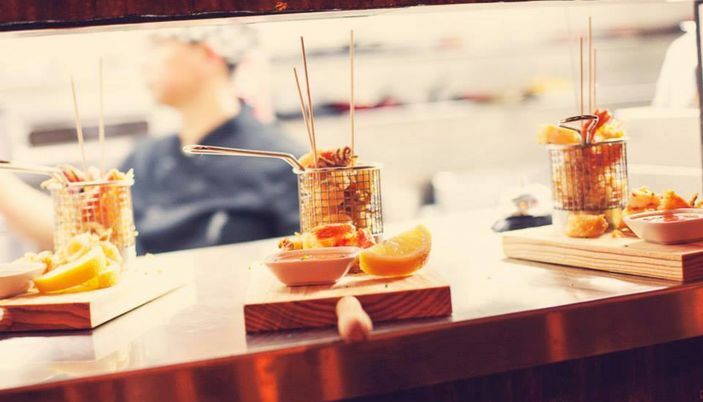 At table, the international cuisine is completely adapted to a day at the beach: hamburgers, tacos, sandwiches, tapas to share and of course the home paella, of good quality. Escribà "El Xiringuito de Bogatell ", located in the sea front is our favourite Escribà, two others are in town. 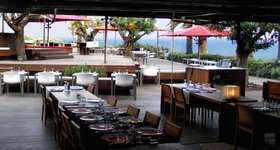 Imagine dining on the beach excellent paellas, rice dishes, perfect tapas. Good selection of wine. When booking (obligatory because the place is notorious ) ask to be outside.. 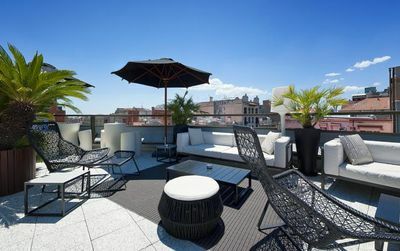 In the large building which borders the harbor of Barcelona, Juanita Lalá is magnificiently located between El Born and the Barceloneta. This restaurant is not a chiringuito but is largely inspired by: large terrace always crowdy, music, Dj's and restoration for youngsters which learnedly mixes - regressive and amusing - dishes like: hamburgers, tacos, guacamole, ceviche, nachos, ensaladas, gambas, calamares, tapas. 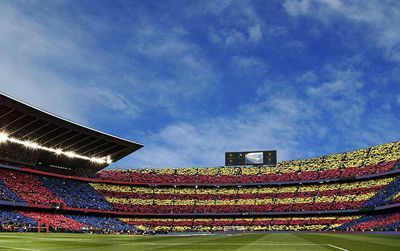 We are well in Barcelona, this city which mixes briskly exotic and tradition. The cocktails are not forgotten, quite to the contrary. Taste the mojito with mango to see. Opened every day Juanita Lalá is a really ideal place to dine and dance: food and boom!! 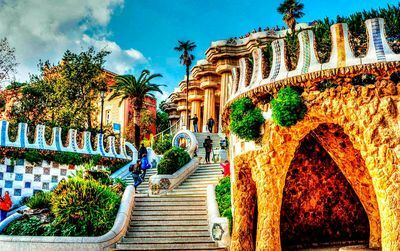 La Caseta del Migdia is heaven on earth hidden beside the Montjuic Castle. One comes there to see the sunset in all quietude. Under the pines, few deck chairs, tables, parasols, a beautiful musical environment, enough to disconnect from the vibrating life of the big city. The beer is fresh. Grilled meat (botifarra and chicken) and salads are generous (15€). That's all and it is just perfect. 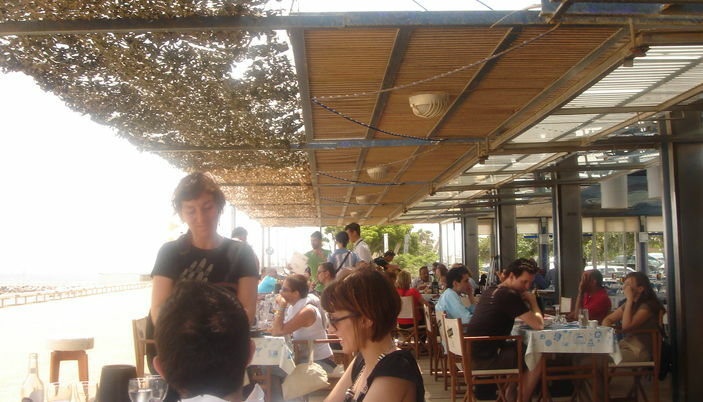 It will be necessary to make a small effort by going to the marvellous Turo Parc to discover Pinhan, an absolutely delicious Turkish xiringuito. In this splendid garden change of scenery is due, from now on, to the dishes suggested by Pinhan: a Mediterranean cuisine largely influenced by the Turkish origins of the owner of this place. Thus from 8 a.m. to 8 p.m., from brunchs to mezze, the nemu takes you along in a culinary voyage to the borders of the Orient: dolmades, pastrami, risotto of bulgur, babaganoush, borek but also hamburgers and delicious salads. Without surprise Pinhan works with Cloudstreet Bakery one of best bakeries of Barcelona and Senor Brown for the chocolate. Still hungry? 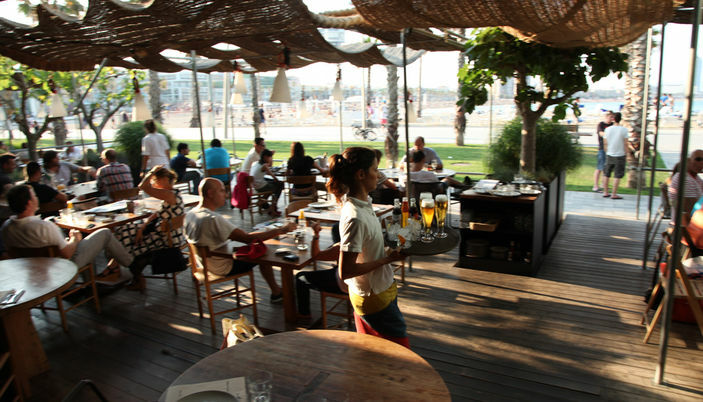 Do not forget to see our section Where to eat in Barcelona ! !